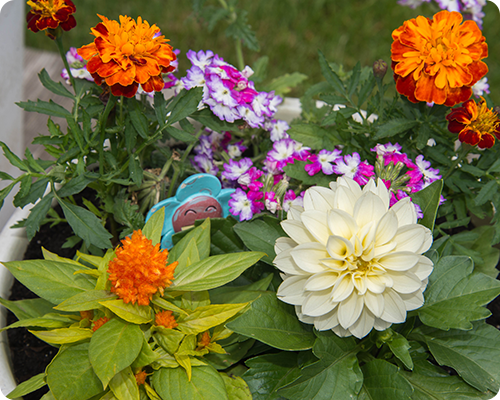 But all is not lost because instead of crocheting, I have been gardening. This past weekend was a holiday weekend, with an extra day off work, so I was able to focus a little creative energy on the garden. The girls and I planted pots for on the deck and I planted all my herbs. There is nothing like fresh herbs right outside the back door, and I look forward to using them all summer long. 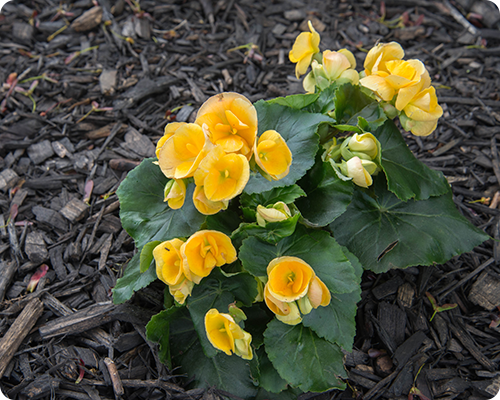 I also mulched the front garden and planted three yellow begonias. Our front garden is fairly low maintenance, but after a few years more mulch was definitely needed. I'm telling you, putting down mulch under some well established and large plants is not easy (maybe a little torturous) and my legs are still in agony today, four days later. (Let's not talk about what that may indicate about my physical stamina, okay?). Well done! 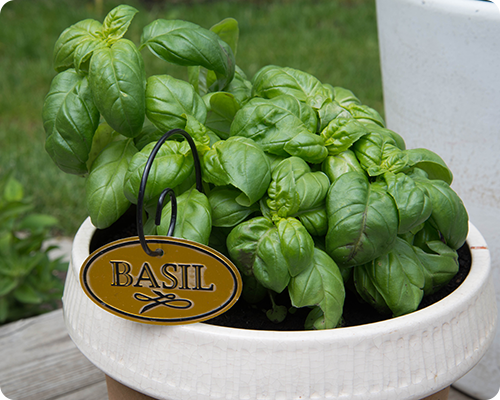 Our weather has been warm and I planted Basil and a Sun Gold Tomato plant. Several weeks before I planted two red Begonia plants. Tomorrow I plan to go to my stitching group. I am crocheting a blue and white preemie blanket to be given to a baby in a local NICU...a little project :-) Wishing you a happy week! 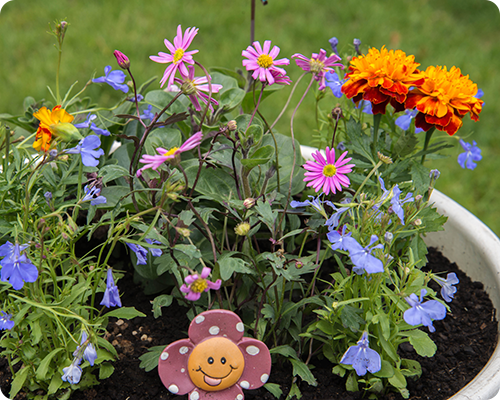 Sounds like you are having a lovely time in the garden and with your crafts. I love hearing what you are up to Gracie.